Due to a bit of wind coming through, we had only one trip today with some of our luckier clients catching a glimpse of the Marine Big 5. Today’s trip was one filled with some salty sea spray and a few cool species. We started off travelling through the shallows past the shark cage diving vessels, making our way over into Pearly Beach to find some Gentle Giants. 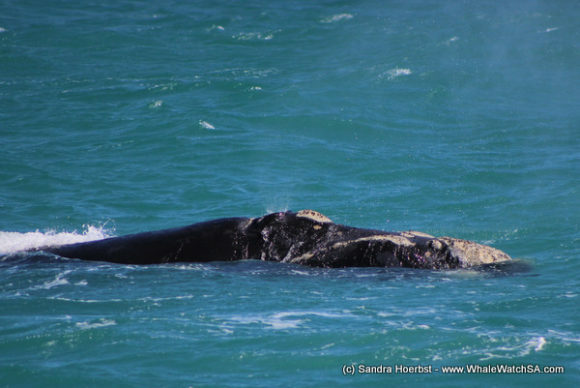 Sure enough, to the east of the town, we found a couple of Southern Right Whales enjoying the surf. 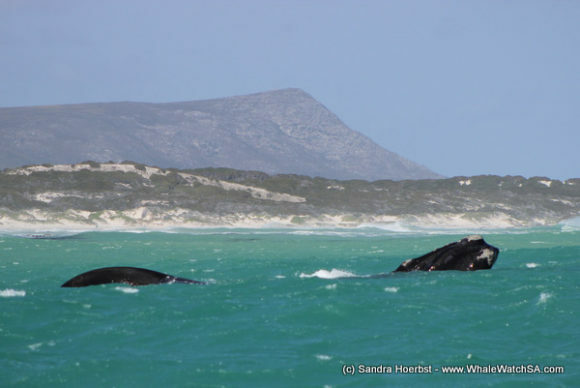 We get to see these whales in really shallow water, which is sometimes only 5m deep. The whales move into our area to find some shelter from the wind and swell to calve. They stay for around 6 months before heading down to grab a long awaited meal back down at around 50 degrees South. 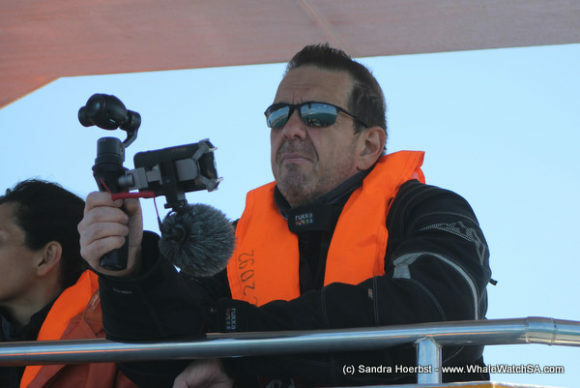 Although solo travelers, whilst in our waters they do form temporary mating groups to ensure that we have as many baby whales as possible next season. Whilst here, we also got to see a lone Bottlenose dolphin again, which is probably the same little guy we’ve been seeing for a few days now. After watching 2 mating groups and a few breaching Southern Rights a bit further off, decided to move back towards our side of the world, taking a quick detour to Geyser Rock. 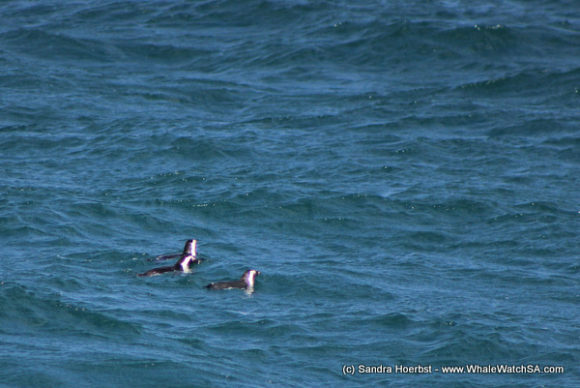 On the way, we had 3 African Penguins pop up right in front of the boat. these little back birds were a little more confident than some of their cousins so we spent some time with them before moving towards their home. 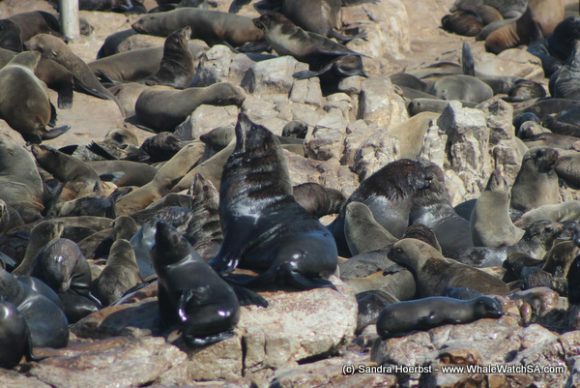 Although we didn’t get too close to Dyer Island Today, we had a nice stop at Geyser Rock where we got to watch the seals frolic in the water. 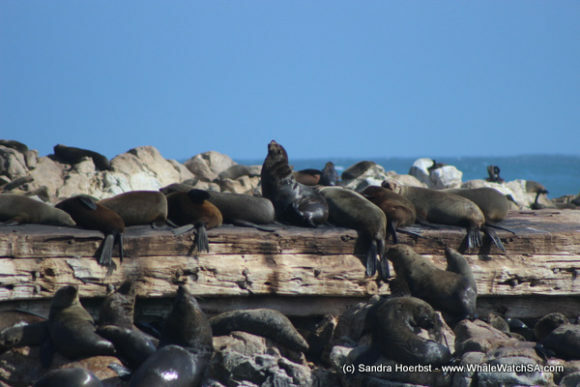 These Cape Fur Seals have the perfect home, close to a reef and with easy access to the deep sea where they will head out to find some fish, sometimes travelling up to 300km for days at a time. Our stop at Slashfin was not the most successful of the day, with only a lucky few catching a glimpse of a White Shark. We head back to shore after this where warm soup and some tasty bread awaited us. We’ve got a really special corner of paradise here, with the influence of both the cool, nutrient rich Benguela current and the warm Agulhas current. 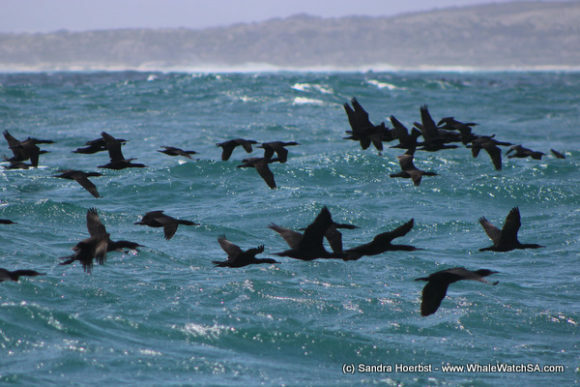 The cold Benguela current is associated with nutrient rich waters, caused by a phenomenon called upwelling. Upwelling attracts large quantities of schooling fish to the region, which in turn, brings in marine and avian predators alike. The bay itself is largely protected by Dyer Island and the Clyde Reef System, which runs all the way from the island to mainland. The reef provides a great area for many of the smaller species in the area to take shelter, this also makes it a serious predator magnet. 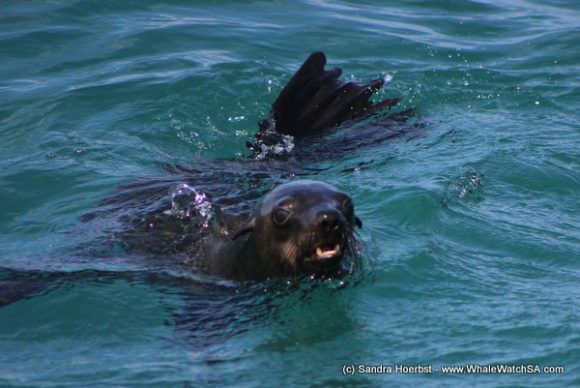 Predators include your Great White Sharks, who, in addition to taking advantage of our Cape Fur Seal colony, also like to feed along this shallow area. As if this was not enough to bring in the animals, we also have a natural estuary running into the ocean which provides a great place for other fish species to congregate. Put all of this together and top it off with our prime Southern Right Whale calving grounds, you’ve really got a recipe for a Marine Big 5 experience.